Dr. Mwifadhi Mrisho joined Ifakara Health Institute in 2001 and holds a PhD in Epidemiology from the University of Basel, Switzerland (2008). Dr Mrisho’s thesis on “Neonatal survival in rural Tanzania: home deliveries, neonatal mortality and subsequent help and health seeking behaviour for the newborn by mothers in rural Tanzania” made a very important contribution to the opening up of the institutes research portfolio for newborn health. He has also contributed to the development of research on old people and people with disability, as well as eye health care. His research interest lies in the development and evaluation of public health interventions for infant and child health and survival, including maternal and newborn health; old people and people with disabilities, and eye health care. 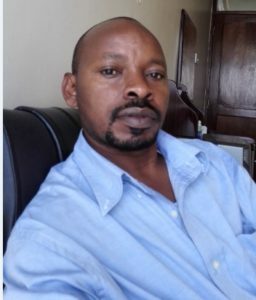 His experience ranges from designing studies, supervising data collection, data processing, quantitative and qualitative analysis, report writing, and the writing papers for publications. He has published several articles on maternal and newborn health in numerous peer-reviewed international journals. Dr. Mrisho is an active board member of Hindawi Publishing Corporation and a reviewer for different scientific journals. Dr. Mrisho has extensive experience in consultancy work with local and International Non-Governmental Organizations, the Government, and United Nations agencies. He is a research scientist but also Deputy Secretary of the Institution Review Board.